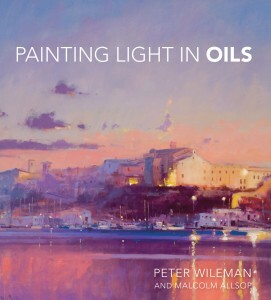 A 128-page hardcover book by Peter Wileman with Malcolm Allsop. Peter Wileman is one of the most dynamic oil painters in the UK today and is currently President of the Royal Institute of Oil Painters. In Painting Light in Oils he demonstrates how to create atmospheric landscapes in oils with stunning effects. Light is what motivates so many painters. It excites the eye and radiates an energy that transforms an otherwise ordinary scene into something rather special. 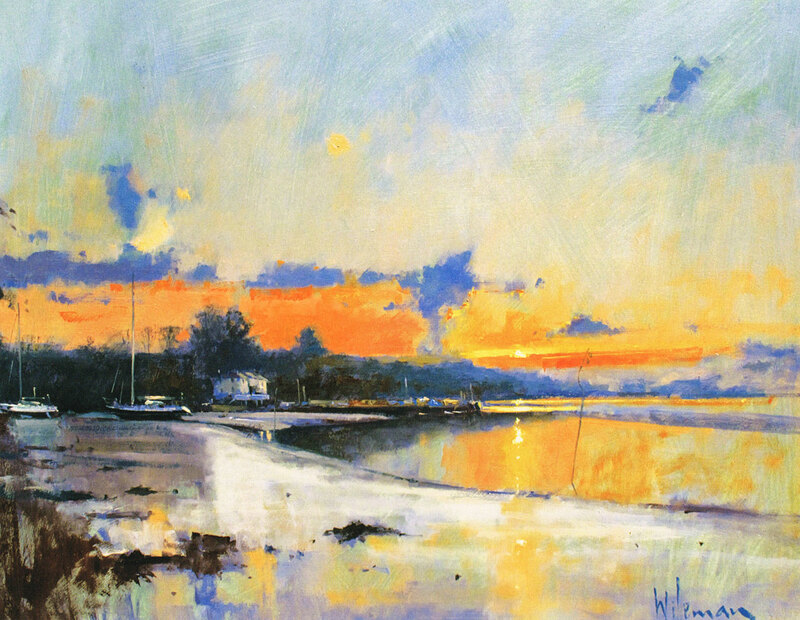 In his first book, Peter Wileman shows how he gets inspiration for his exciting landscapes and seascapes, working both on location and in the studio. Several step-by-step demonstrations show how he captures light and shade on his canvas with such amazing effect. 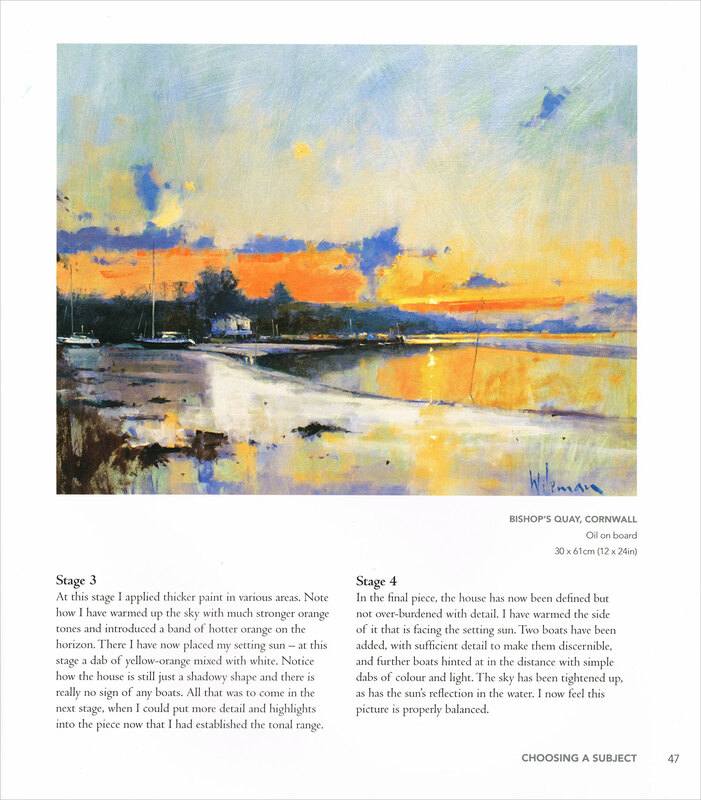 There are also sections on tone and colour harmony, reflected and changing light and how to paint from both sketches and photographs. If you want to loosen up your oil painting and achieve landscapes and seascapes that are full of atmosphere, this is the book for you. Peter Wileman is the former President and a Fellow of the Royal Institute of Oil Painters, a member of the Royal Society of Marine Artists , the East Anglian Group of Marine Artists and a Fellow of the Royal Society of Arts. He has worked in the field of art and design for over forty years. Peter’s style is bold and vigorous, both in the use of colour and handling of paint, as he explores the effect of light on his subject. Seeking atmosphere through light and colour, he works in varying degrees of abstraction. Peter has won many awards for his paintings. He lives in Towcester, Northamptonshire. Malcolm Allsop runs the art-instruction DVD company Town House Films, where he works with some of the UK’s best-known teaching artists. He began his career in journalism, working in newspapers and then in TV, becoming Director of Programmes for Anglia Television and Controller of Format Sales and Acquisitions for ITV plc. Malcolm is a keen oil painter and lives in Norfolk. Click on the underlined link to go to the current offers on the book Painting Light in Oils on the Jackson’s Art Supplies website.